There are two foundational vectors of consciousness and self-development: vertical and horizontal. Vertical Development is studied by developmental psychology. The psychology of child development studies stages of consciousness and selfhood formation in children. The study of Adult Development investigates the trajectory of an adult personality through the stages of increasing maturity of meaning-making and self-sense. Scholars and researchers discern about a dozen of major stages or fulcrums of development through which a person might go over the course of his or her life (unless there are no hindrances to development and also if the life conditions are auspicious to growth). At each developmental fulcrum, at each stage individual consciousness disidentifies from previous identities and identifies with a new world, while also including essential elements of the previous stage at a new turn of the developmental spiral. This is famously known as the dialectics of differentiation and integration—or transcendence and inclusion. This very same dialectics plays its role in Horizontal Development as well. Horizontal development is a process of unfolding increasingly deeper states of presence, mindfulness and awareness in life. While vertical stages-structures of consciousness and selfhood determine how we make sense of the world and any experience in it (we can do it egocentrically, ethnocentrically, worldcentrically or even kosmocentrically), states of consciousness determine what exactly we perceive in our everyday life: do we pay attention only to gross and superficial appearances of life or we see into the core of events, noticing numerous subtle cues, including our awareness of the “center of cyclone” of our very own being—the source of all experiences, consciousness as it is. According to Ken Wilber, vertical development is a path of growing up toward increasingly comprehensive and holistic stages of maturity, while horizontal development is known as a path of waking up. Consciousness awakens to its profound multilayeredness and gradually attains the capacity to be present in more and more expanded states. It often happens that human beings have a peak experience of some heightened state of consciousness, and then they find inspiration and life meanings in that experience their entire life, even thought it might have lasted only a few moments in terms of relative time. Transpersonal Psychology has studied whether one can reproduce these transformative peak experiences, awakening states, and whether these experiences can be stabilized (or a human being is doomed to go from peak to peak, constantly repeating the Sisyphus labor of ascending the mountain of states). Eventually, both Transpersonal Psychology and Integral Psychology came to the conclusion that development through horizontal states and stabilization of presence in increasingly more aware forms of awareness is possible. For this one has to intentionally work on developing his or her presence through states of being and consciousness potentially available to any human being. Over the course of millennia various traditions of contemplative phenomenology have studied practices of transforming and purifying mind, developing our mindfulness towards the present moment, actualizing our capacity to be outside forms of conceptual thinking—in a pure presence of the power of Now. Once your presence is grounded in the present, it starts to descend into contemplation of the nature of consciousness per se—the primordial awareness, the “indivisible remainder” of transcendental existence which is prior any phenomenological forms of sensation, perception, meaning-making, and world appearance emerge. This “ground of all experience” cannot be called neither being nor non-being: it is beyond any description, for the very descriptions themselves are brought forth by thinking mind, and this thinking mind is brought forth by this very ground of all—or Nature of Consciousness. Just like in vertical growth our self-awareness system goes through more or less discrete stages of development which are subjectively perceived as vast life phases (going through each phase or stage may require several years to several decades), and each of these stages co-enacts entire worlds, within which life is specifically patterned, in horizontal growth there are also stages of the unfolding of states. In Ken Wilber’s Integral Meta-Approach those are called state-stages, and they are gradually unpacked, assimilated, transcended, and integrated in the process of transition from the gross state through the (low and high) subtle state and the (low and high) causal state. All of it happens with the ever-present witnessing function in the background, which can also become a stabilized stage of presence, as well as the nondual suchness of experience which is beyond any dualistic differentiations into a witnessing subject and a witnessed object world. The gross state is an everyday waking mind that is anxious about a myriad of trivial and not-so-trivial things. The subtle state discloses itself to us every day in the states of night dreaming or day dreaming as well as when we actualize an increasing presence to life energies. In Integral Meditation this is also a manifestation of altered states of perception, various changes of luminosity in the subjective field, appearance of various new aspects of perception and self-sense. The causal state is disclosed as an experience of the vast expanse, the field of presence which is correspondent to the lower point of Otto Scharmer’s Theory U. It manifests as a vast openness of silence and quietude in which one’s sensing of a priori categories of time, space, geometrical patterns and constants of existence sharpens. These categories are sensed as they are, beyond their multitudinous appearances. Gradually, states of perceiving various forms within the contemplated world start to shine as an all-encompassing meta-object—Life As It Is, into which you gaze with your sleepless witnessing eyes. The eye of contemplation opens up towards awareness of its ultimate freedom from everything that is perceived; and the space of presencing arises above the luxurious palaces of the world of appearing forms. Here one could speak only metaphorically and using imagery. If we are to borrow David Lynch’s wording, here you catch a big fish—in fact, the biggest fish possible: it is the capacity to be in contemplation as pure witnessing that has never entered the stream of time-space continuum but is ever-presently witnessing it. Eventually, upon reaching a stable state of Witness the very witnessing state is recognized by you-as-awareness as the subtlest energy-form, an attempt to subtly distance yourself from the world of phenomena, as a subtle movement towards detachment and creating a barrier between the world and yourself… and then the veil of witnessing falls down, and the world descends, cascading, onto the very place where prior to that your witnessing head and your witnessing heart had been. The world-and-consciousness are seamlessly and indivisibly one: it is a nondual presence not above the world but as the world, while retaining the quality of transcendental freedom—but this freedom now discloses itself as the world per se. To sum it up, if at the beginning of your meditative-contemplative path you are increasingly waking up towards the illusory nature of all your concepts and representations about the world and everything you have been identified with, while opening up to wider and deeper layers of being present in reality, then this very reality suddenly descends onto the world of Form, and the transcendent starts to sound as a myriad of silver bells ringing and resonating through the simplest events of the world. And you return to the market place with empty hands, being aware of the primordially pure face of the world manifesting as the entire expanse of everything you experience in that place where previously, as you had thought, you were, and now it is just that infinitely wise intelligence of All-Being that appears as your very unique individuality. There is a difficulty inherent to both vertical and horizontal developmental processes. It is impossible not to grow, for the natural inclination towards ascending is inherent in us, and it is fueled by what many philosophers have called the Eros of life. Yet, in the process of growth and development fixations (addictions) and aversions (allergies) can be formed. This is true both for stages of vertical maturity and state-stages of the unfolding of presence through horizontal states. At each point of switching between states a blockage or an obstacle may emerge. It is a kind of barrier with which consciousness-awareness subtly identifies and experiences enormous difficulties in dis-identifying from this subtlest nightmare, even though it could masquerade itself for attention towards “all those important things,” or dreamlike states, or even an experience of thunderous silence. You could develop an addiction, for instance, towards gross states (associated with the basic levels of human life: earning money, food, sexuality, and emotional sensitivity). If so, you would seek—and repeatedly fail to find—happiness in the labyrinths of gross forms and identifications, attempting to repeat the same thing over and over, over and over, over and over, not willing to let yourself go in order to embrace a wider self-perception and deeper ways of reaching a fulfilling joy in life. As a result, exhaustion, deadly angst and boredom await you—and your fear of transcendence becomes even stronger. Or, in the process of developing your mindful awareness you might form a tendency to become averse towards the gross (or you could worsen your already pre-existing tendency which had been seeded at earlier stages of life—this is an allergy to the “gross world” with its inherent necessity to earn a living, pay your bills, maintain relationships, etc.). If so, you would attempt to distance yourself from everything that is related to this “impure” world, and any touching of that world would send an electric impulse of loathing into your body/mind system. In the same vein, an attachment or allergy, a dysfunctional fixation or dysfunctional aversion may be formed to subtle, causal, witnessing and nondual states. Instead of the Middle Way which is liberated from extremities you fall into one extreme or another, a kind of radicalism (for instance, into attempts to reject some state and hinder its unfolding, trying to imprint yourself into an already-known state, thereby cutting yourself off your own deeper healing potential). This brings forth unnecessary suffering where releasing of the fixation or aversion could let you breathe in the fresh and simple feeling of being-as-it-is and potentially always given right now, in the present moment. In the metaparadigms of Holoscendence and Integral Meditation one pays a specific kind of attention towards contemplating difficulties on the path of horizontal development and how these difficulties can be related to shadow material which was formed in the process of going through stages of vertical development. Both in horizontal movement through states and in vertical maturation processes we can be caught into various traps, collapsing into smaller forms of identities. This results in the emergence of various symptoms (including destructive life scripts), and we fall into extreme life styles and views which do not help us but hinder our attainment of the ultimate joy in this very life. The strategic aim here is to attempt, in the field of mutual inquiry, to sort through the primary aspects of these forms of clinging (both addictions and allergies), especially towards various states of consciousness, in order to raise our chances to be liberated from these extremities. There is also another meaning of the term “horizontal development” known in the Integral Theory of Human Development. It is about horizontal translation of a specific structure of consciousness. Translation happens when you exercise this very structure (for instance, thinking concretely at the concrete operations stage of cognitive development) and expand your skills that are based on that structure. In this essay we use the term “horizontal development” to designate the process of development through state-stages of presence and awakening, or waking up (this usage of the term is explained by Ken Wilber in his book Integral Spirituality). Eugene Pustoshkin is the Integral Leadership Review’s Associate Editor and Bureau Chief for Russia. He is a citizen of the world who currently lives in St. Petersburg and Nizhny Novgorod, Russia. Eugene is a clinical psychologist, translator, and integral scholar-practitioner. He currently serves as the Chief Editor of Eros & Kosmos (see: http://eroskosmos.org/english), the Integral online magazine for Russian speakers. 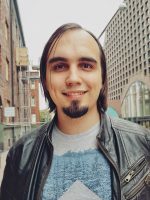 He co-founded the Holoscendence Project (http://holoscendence.com), an initiative that applies the Holoscendence meta-method (developed by Sergey Kupriyanov, MD) and Integral framework towards human psychological transformation. He has translated numerous books by Ken Wilber (the founder of Integral Meta-Theory) and other authors to the Russian language. He is a pioneer of Integral Meditation (which, in his version, is a unique combination of Holoscendence and the Wilberian approach as well as Eugene’s own extensive experience in the field of contemplative phenomenology, consciousness exploration, and facilitating individual and group transformative processes). Eugene teaches this integrative method of mindfulness and contemplative phenomenology to individuals and groups both online and offline (see: http://integralmeditation.ru/en), and maintains private practice as a therapist and consultant.